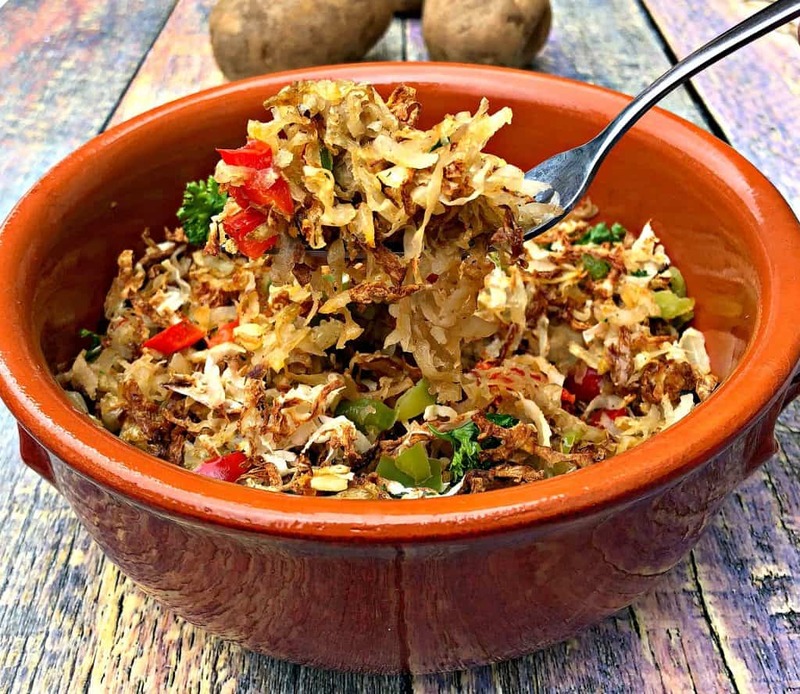 Air Fryer Loaded Hash Browns is a quick and easy vegetarian and vegan potatoes breakfast recipe. 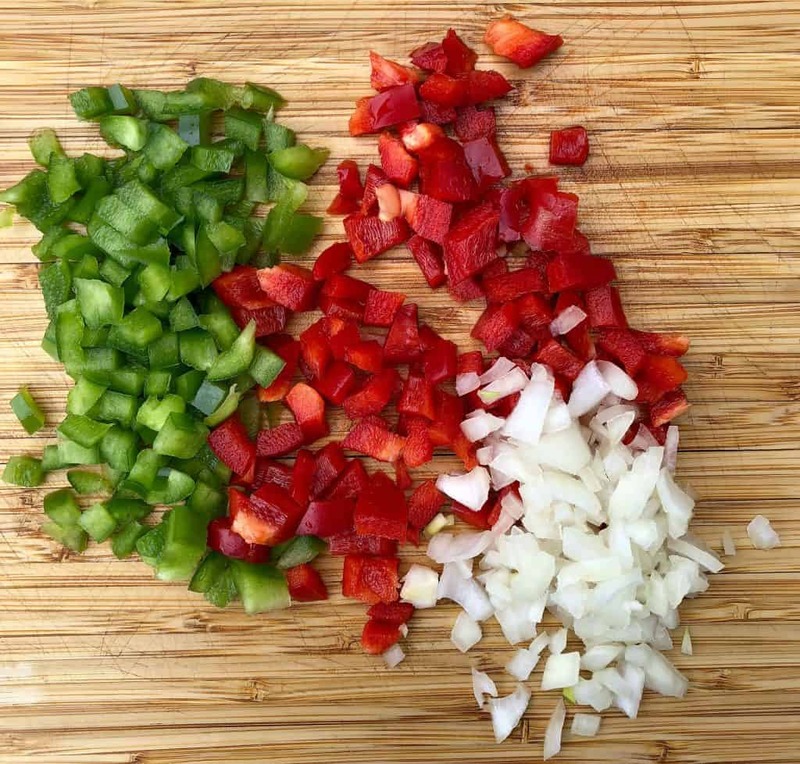 This dish is loaded with red and green peppers, and onion. 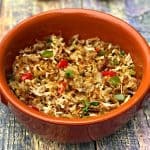 This dish is low-calorie and low-fat but does not compromise on the restaurant, local diner quality taste. So I am back at it again with the air fryer. If you do not own one, why not?! Click the link above and join me on this journey. I will have plenty more air fryer recipes on the agenda this year. Stay tuned. I LOVE potatoes. I am pretty much a fan of all carbs. Carbs are just so darn comforting! So of course, I am a huge fan of the breakfast hash browns served by fast-food establishments. 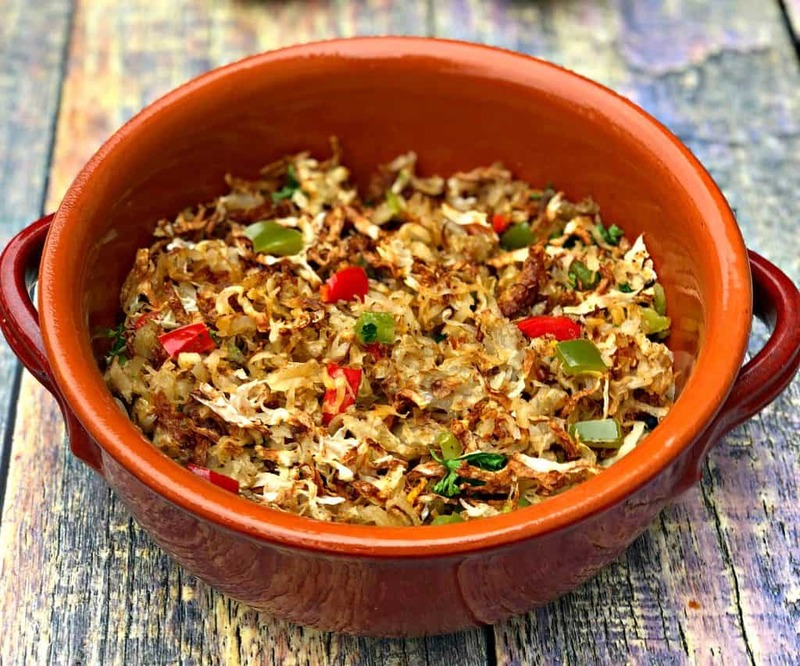 These hash browns are unhealthy and loaded with fat, but sheesh they taste so freaking good! 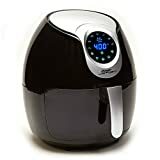 Help me out, air fryer! Let’s take Chick-fil-A as an example. I really hate to call out Chick-fil-A because I love the customer experience they provide. They are always so nice! But, it has to be done. 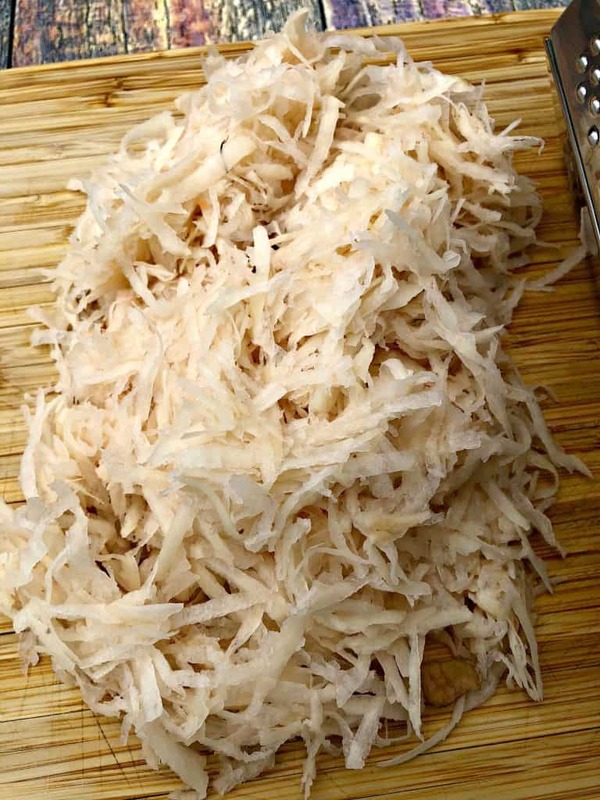 One serving of hash browns from Chick-fil-A has 240 calories and 13 grams of fat. I am less concerned with the calories and more concerned with the fat. Potatoes do not have much fat. The fat in hash browns lies in the oil or grease used to fry them. Using the air fryer will save 15 grams of fat. All hail, the air fryer. 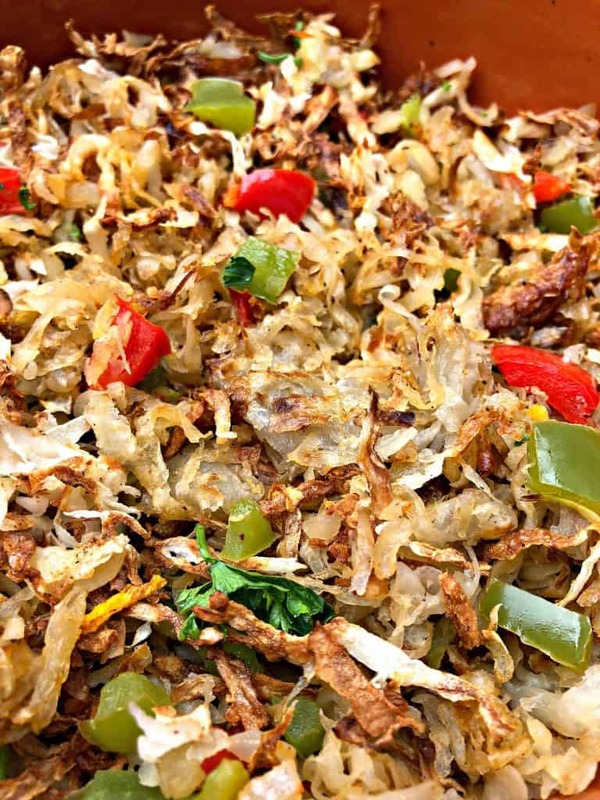 I added a little flavor to these hash browns with peppers and onions. Feel free to add your favorites! You could also go the extra mile and smother them with cheese if you wish. 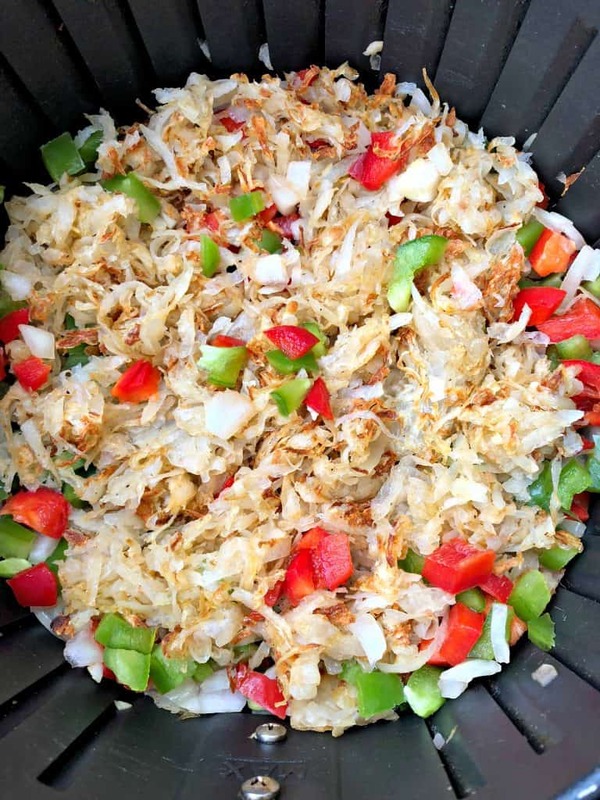 That will definitely create truck stop hash browns or also mimic the hash browns you will find in the infamous Waffle House. Using the air fryer still cuts the fat tremendously, even with added cheese. 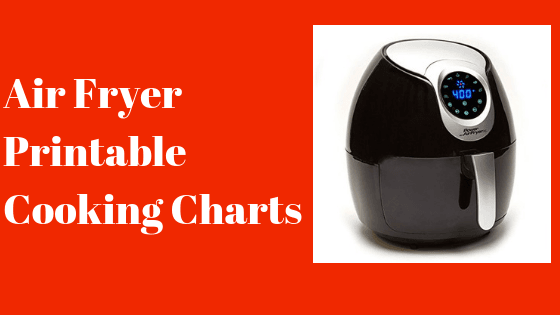 Check out Air Fryer Breakfast Recipes, Air Fryer Sausage, and Air Fryer Bacon. 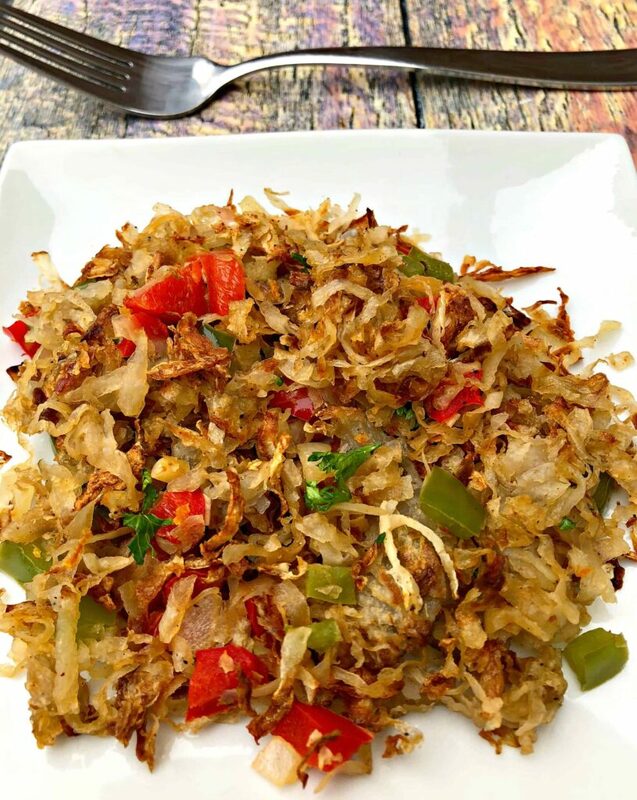 Air Fryer Loaded Hash Browns is a quick and easy vegetarian and vegan breakfast recipe. 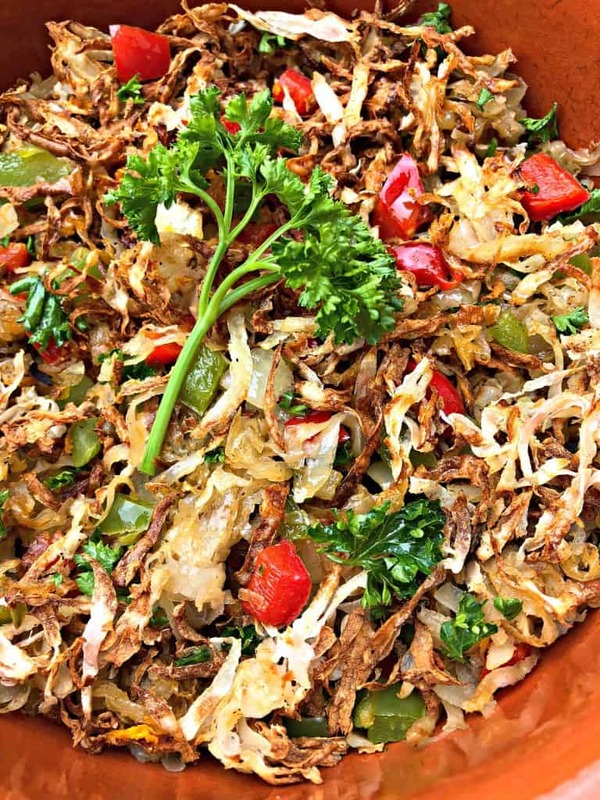 This dish is loaded with red and green peppers, and onion. This dish is low-calorie and low-fat but does not compromise on the restaurant, local diner quality taste. Grate the potatoes using the largest holes of a cheese grater. Place the potatoes in a bowl of cold water. Allow the potatoes to soak for 20-25 minutes. Soaking the potatoes in cold water will help remove the starch from the potatoes. This makes them crunchy. Place the potatoes in a dry bowl. Add the garlic, paprika, olive oil, and salt and pepper to taste. Stir to combine the ingredients. Open the air fryer and shake the potatoes. Add the chopped peppers and onions. Cook for an additional ten minutes. It’s anazing what you can do in an air fryer. We usually just do fries, but I need to try something else, like these. I have never had anything that was air-fried, but it sounds like I need to change that! Love that you can make so many traditionally high-fat foods low-fat and still taste great. This looks amazing! I don’t use my air fryer enough, and this recipe definitely has me questioning my choices! This looks sososo good. Such a clever air fryer recipe! As much as I love hash browns, they’re kind of a pain, and I still haven’t found a method that makes them diner-quality-delicious. These look so crisp (and easy!). 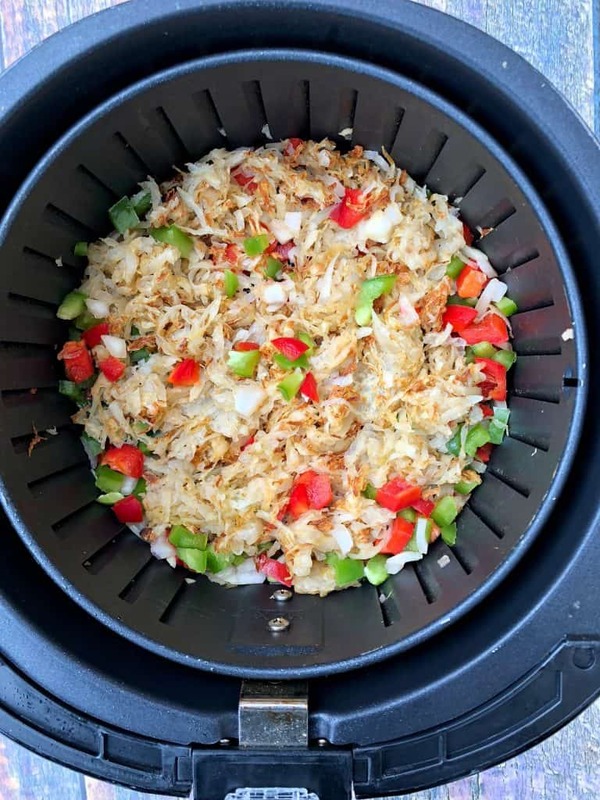 I had no idea hash browns were so easy to make in an air fryer! I feel like I need to just bite the bullet and purchase one now! Wonderful! I hope you enjoy this recipe and many more to come! 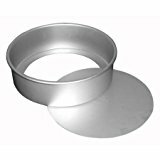 Can I put the potatoes directly in the air fryer or do i need to use the pan? Directly in the air fryer basket. Again, this recipe looks delicious, but you always leave out information. In the instructions, you say to add the canola oil, but you do not say how much in the ingredients. Would you please send a reply? Please do not say I always leave out information. That is inaccurate. 2 teaspoons of olive oil are used. There is no canola oil.